Mrs. Nataki F. Richards, Esq. Born and raised in the Virgin Islands, Nataki Finch Richards currently serves as the Executive Director of the Trust for Virgin Islands Lands and has been working to preserve our beautiful islands for the last five years. After practicing law in private practice, Nataki began her career in public service with former Mayor Jim Hahn in Los Angeles, California as his Director of Housing and member of the Los Angeles Business Team. Nataki led economic development efforts to revitalize Los Angeles, drafted an anti-predatory lending initiative, and was integral to the creation of the city’s affordable housing trust fund. When she returned to the Virgin Islands, she served as the Administrator of Hearing and Appeals for the Department of Human Services. 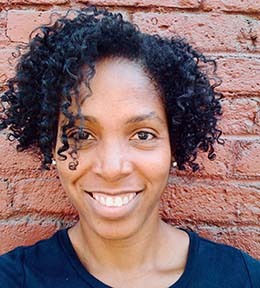 Nataki serves in various capacities in her community, including serving as a Board Member for Virgin Islands Housing Management and several terms on the Board of the Good Hope Country Day Parents’ Association. Nataki is a graduate of Princeton University and earned her J.D. from Vanderbilt.